Aaron is in Las Vegas this week at a tradeshow for work. 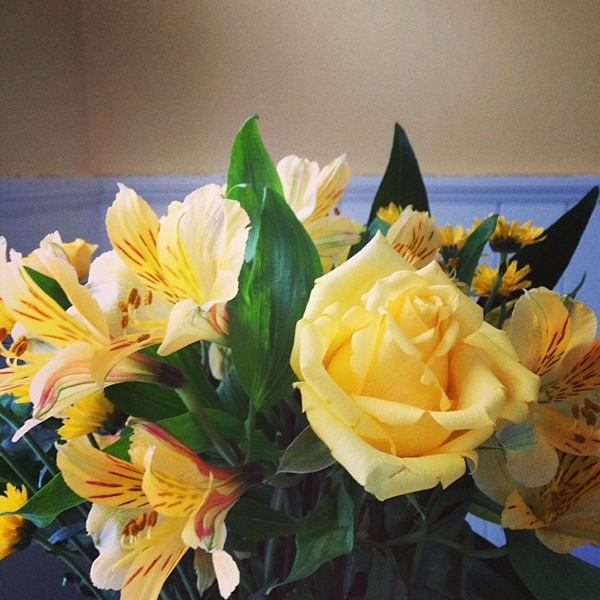 Before he left he got me these yellow flowers. They match the new kitchen colors perfectly. I was so surprised when I got a delivery of flowers a few days after he left. Then a day later, roses! 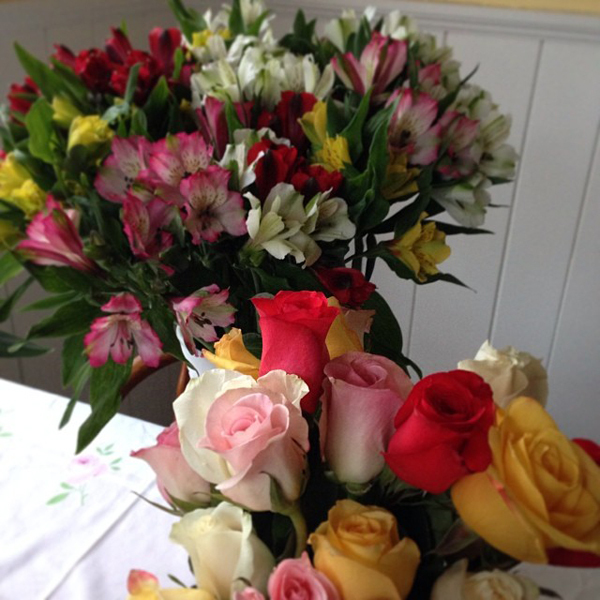 And then ANOTHER delivery of flowers! 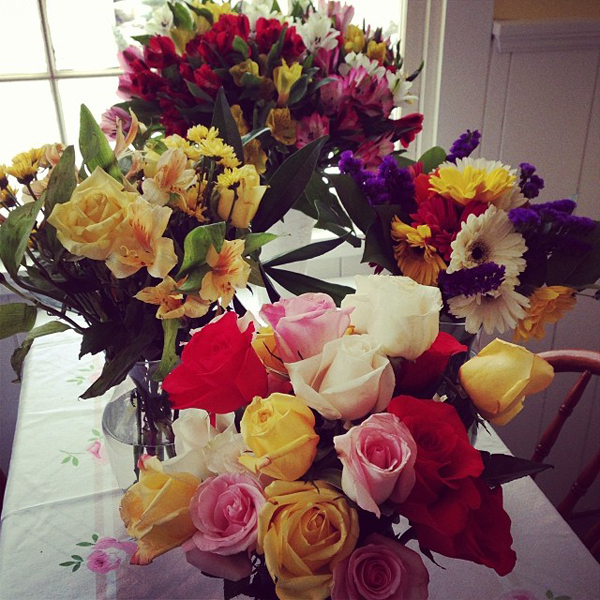 The kitchen looks like a flower shop. Feeling pretty spoiled!